Home / Needlework / Lozobranie - a pleasant leisure and an exciting hobby! Lozooblenie - a pleasant leisure and an exciting hobby! Types of weaving machinery from vines and their execution. How to choose a vine for weaving? What do you need to know for beginners when starting to work on the weed? One of the most ancient crafts is the weavingFrom the vine. Imagine, it appeared before the pottery business! At first the vine was used as a building material. Over time, people, appreciating its multifunctionality, found another application for this natural material. And as a result, wickerwork from the vine of steelAn integral part of their life. But in our time this skill is not lost. Especially popular are wicker hedges and furniture made of this flexible material. The technique of execution is simple and does not require any special talents, even from novice masters. Having the desire, you can independently learn how to make simple products at home. 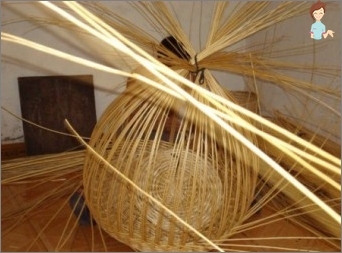 You can start with a simple, for example, with weavingPlates and baskets, which are sure to be used in any farm. 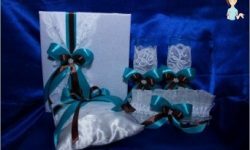 Also your crafts can become an original gift for your relatives and acquaintances. If you study independentlyDifficulties, I recommend that you attend a beginner's course on climbing. Who knows, maybe in time you will be able to enjoy the warm summer sun sitting in the garden in your own woven chair? If you are just new to the art of weavingFrom the vine, then we will not rush things and consider each stage in turn. The first thing you should pay attention to is the quality of the material with which you will work. It is very important to check the material for brittleness. To do this, simply bend the rod 180 degrees. If he remains intact, you know, such a workpiece is quite suitable for highly artistic weaving. It will not be very difficult to buy a vine in the nearest flower shop. 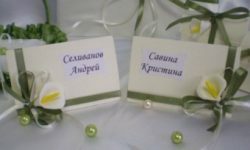 Before buying it will not be superfluous to make sure of the quality of the goods themselves, no one is insured from marriage. We sorted out the workpiece. Now is the time to move on to action. In order for your creative impulse not to fade after the first work, start with a simple one. Try to weave the basket. She and the farm is always useful, and the technique of its execution is simple. The shape of your product depends on the placement of the rods. And there are many such techniques. A pen is the most delicate part, as a rule,It is she who is the first to become worthless. 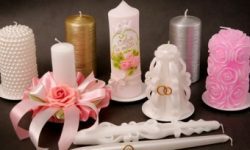 Therefore, a thick rod is always taken as a basis, without any signs of pre-existing knots on it. The length of the handle is equal to half the perimeter of the product. For the handle braid use the longest branches as it will look neat. The lock is the part that connects the handle to your product. Twigs, which are as close as possible to the handle, begin alternately to twist first from right to left and vice versa. In the end result you will get a pattern remotely reminiscent of a star. The number of these turns determines the strength of the handle, and hence the life of the pen. At every stage of the weaving must necessarilyremember. Before using the plant material, it must be soaked in warm water beforehand. So you will give him the flexibility. That will greatly facilitate the subsequent work with him. Before you start working, you must for yourselfDecide what kind of product your product will have. I am now talking about the shape of the bottom, which can be round or oval, and about the size. 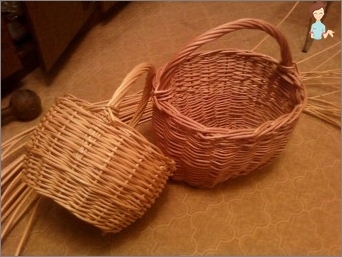 The basket is large or medium-sized. This is necessary in order to approximately calculate the necessary number of twigs for the work. When the sides are ready, carefully cut off all the irregularities and fix the ropes. After you finish the work, treat the basket with a brush and open it with wood varnish. It will ennoble it and give a natural shine. Do not be discouraged if at first you did not get the basket of your dreams. The main thing is your desire. Creative inspiration to everyone!